The answer for a great harvest is that the Lord of the harvest sends out equipped laborers! We aim them in the right direction, prepare them for the work and then release them, under a spiritual covering, into God's work for their lives. At our 2014 graduation, we awarded diplomas to 20 students, including one who just celebrated her 70th birthday! We started in 2010 with 7 students in the French campus and 12 in the English campus. This year we had a total student body of 70, of which 47 were in the French classes. That number excites us, as the greatest harvest that awaits us is among the 6.8 million French speakers in Quebec, 87% of the province's entire population. We have students from the Philippines, Columbia, Gabon, Cameroon, the Congo and many other countries, and of course students from Quebec. 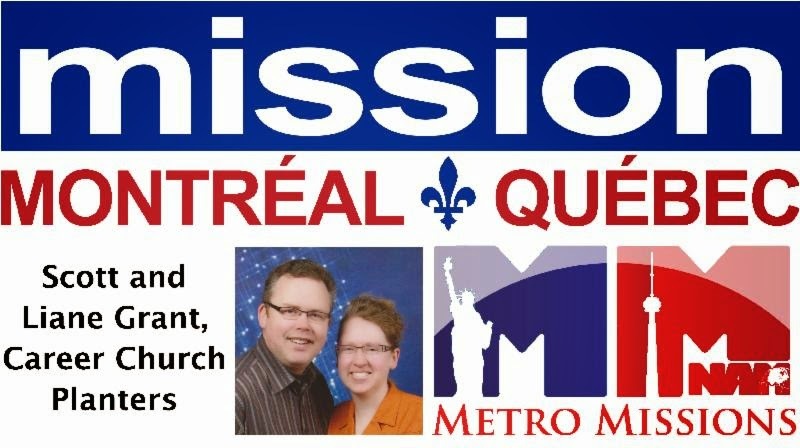 Pray to the Lord of the harvest, that he would send equipped French laborers into the vast field of Quebec, North America's greatest missions opportunity!